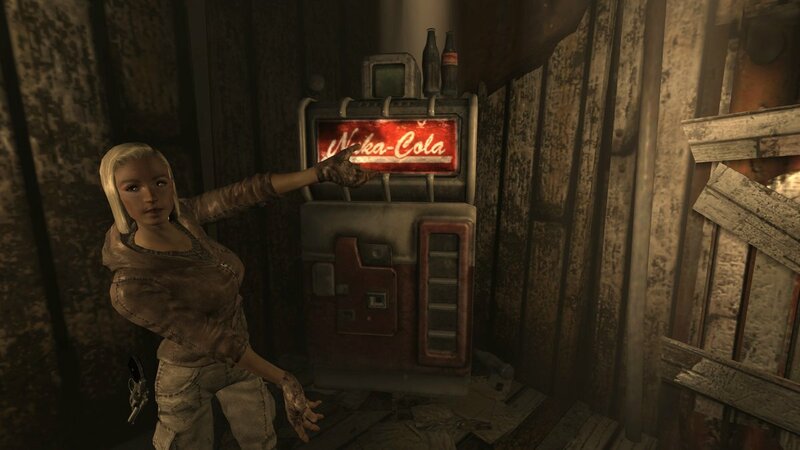 Sierra Petrovita, curator of the Nuka-Cola Museum in Girdershade, is the patron saint of the Video Game Soda Machine Project, and this pristine Nuka-Cola machine is her pride and joy. 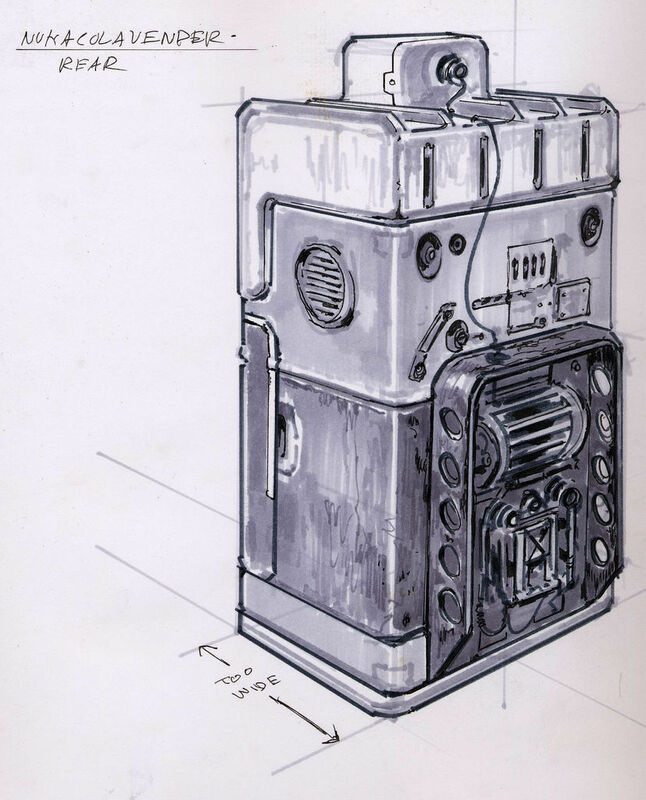 Click through to see Adam Adamowicz’s concept art for Fallout 3’s Nuka-Cola machine. 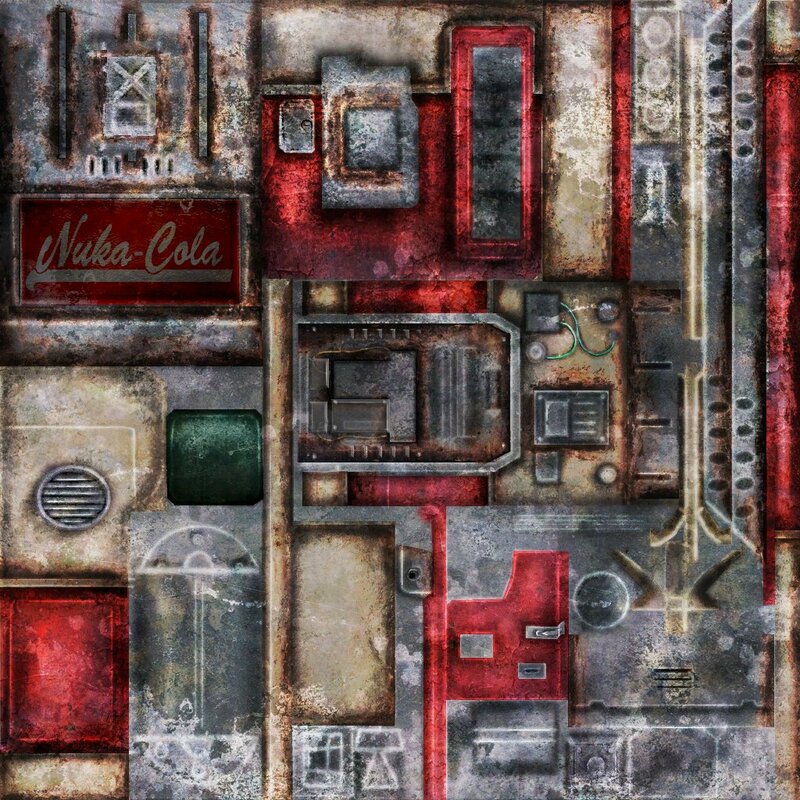 The Nuka-Cola Corporation entered the beverage market in 2044, with the invention of the soft drink by John-Caleb Bradberton after two years of experimentation. Though strictly unhealthy (containing 120% of the recommended daily allowance of sugar), it took the United States market by storm and within a year it could be purchased nationwide. 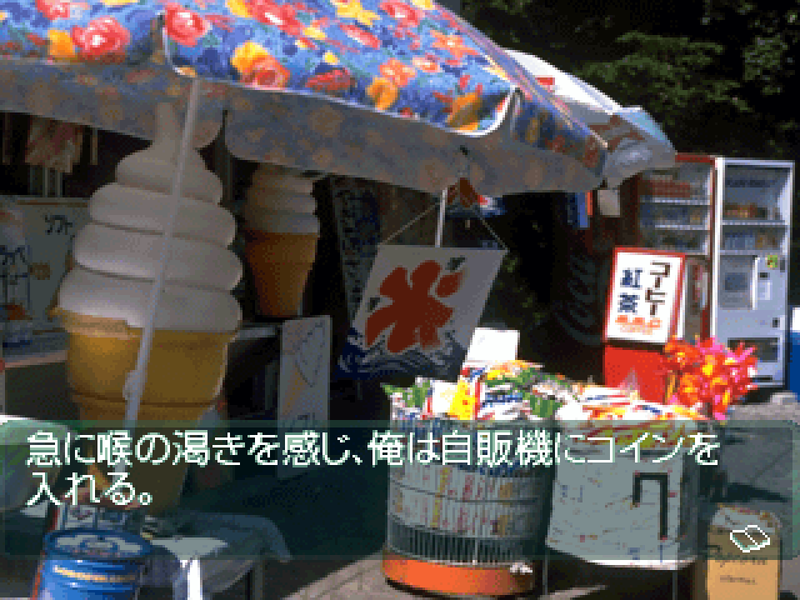 Its popularity rapidly increased and within several years it was the most popular beverage across the globe. 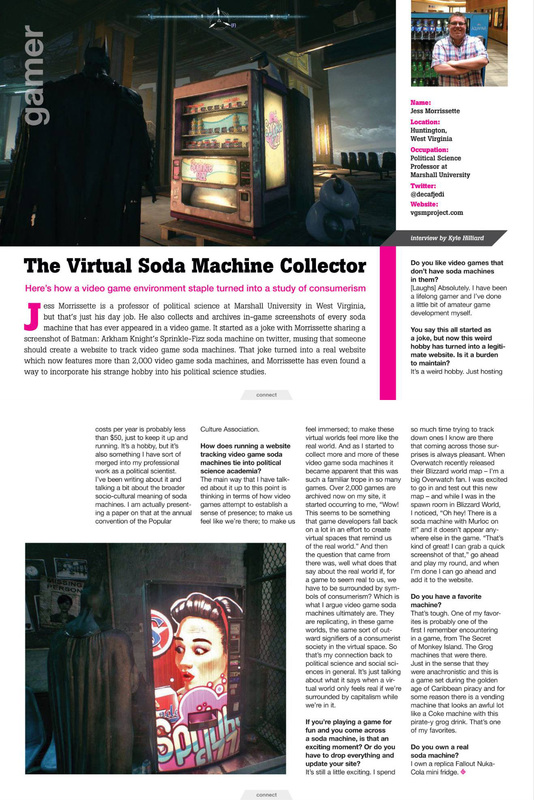 Obsessively cataloging video game “pop” culture! 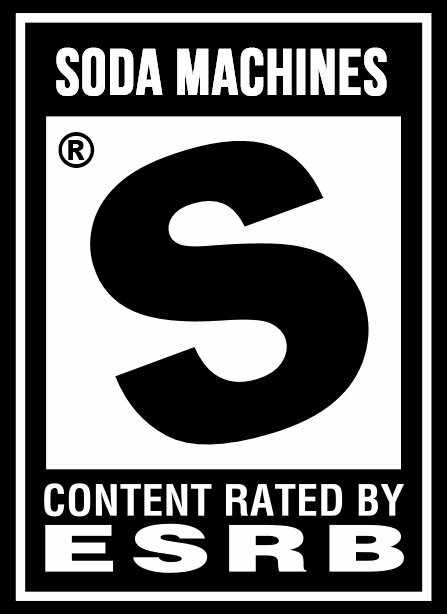 As seen on NPR’s All Tech Considered, Slate, The AV Club, Kotaku, Waypoint, Game Informer, and Retro Gamer. 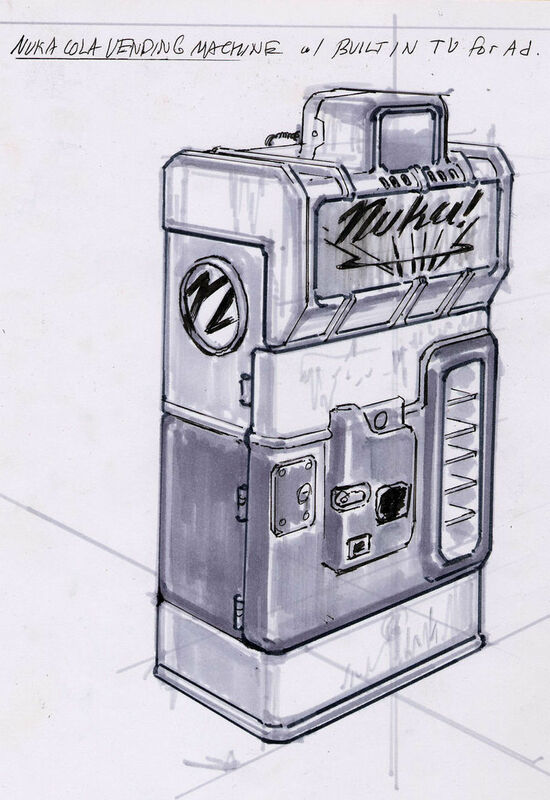 Want to submit a video game soda machine? Just tweet it to @decafjedi! 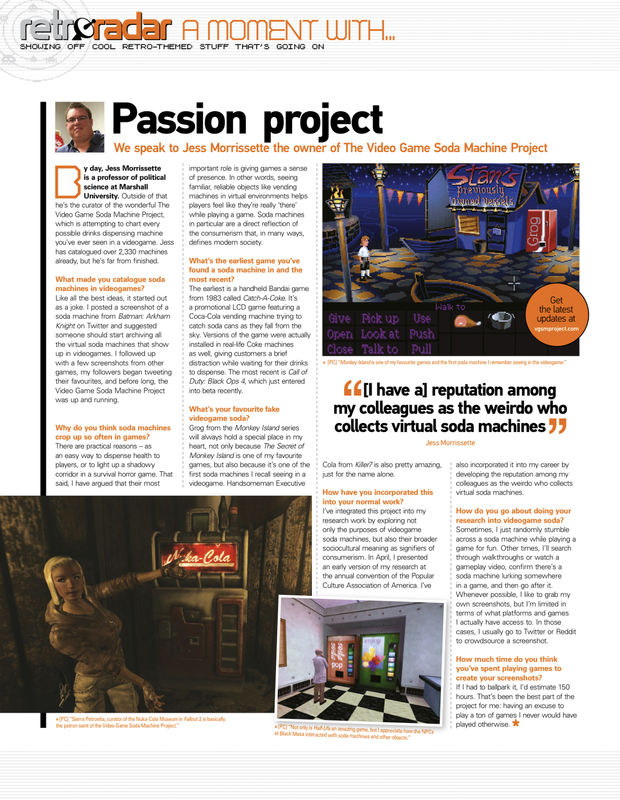 A complete list of the 1,300+ games archived at The Video Game Soda Machine Project, spanning every major genre and platform, is available here.